Pressure is growing within a junior party in Slovakia's ruling coalition to pull out of the government, local news website Aktuality.sk reported on Thursday, as the murder of an investigative reporter rattles the country and its leaders. The collapse of the three-party coalition could trigger an election. Several key allies of Prime Minister Robert Fico have already resigned this week, including his culture minister. 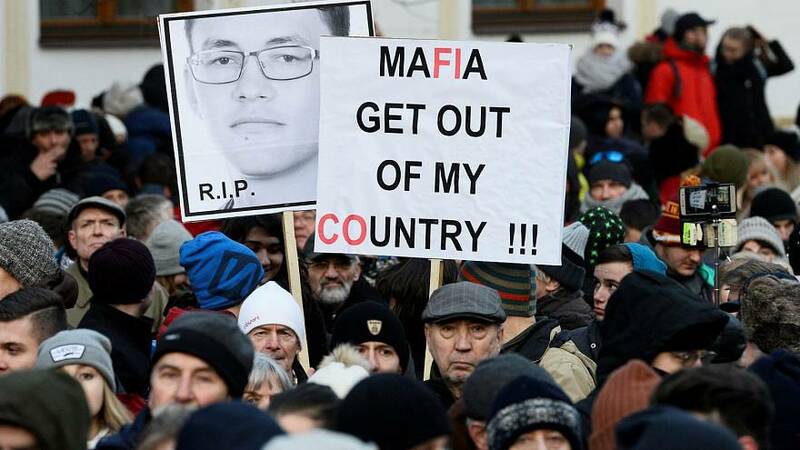 Rallies are scheduled for Friday (March 2) in several cities in protest over the murder of Jan Kuciak, 27, who specialised in exposing fraud and cronyism. Hundreds gathered in the capital Bratislava on Wednesday. "I think it all shows how far the situation with mafia connection and corruption has gone in Slovakia. I think it is enough. This was the last drop," said protester Vladimir Novy. Kuciak reported on suspected crimes by businessmen, some of whom had connections with Slovak politicians. He and his girlfriend were found shot dead at the weekend. Police say the killings were likely over his work. Announcing his resignation, Marek Madaric said that as culture minister he could not put up with a journalist being murdered during his tenure. Separately, two Slovak officials named in Kuciak's last report said in a statement that they had resigned pending the outcome of the investigation into his murder. The pair - national security council secretary Viliam Jasan and Maria Troskova, an aide to Prime Minister Fico - denied having anything to do with the killing. Kuciak's last report alleged that the two had links with an Italian businessman before they entered government. His report did not suggest any wrongdoing by either of them. The government has offered a one million euro reward for anyone who comes forward with information about Kuciak's killing. His murder was the first of a journalist in Slovakia and the fifth such case concerning a reporter or reporters in the European Union in the past decade, according to Reporters Without Borders. Last October, Maltese anti-corruption blogger Daphne Caruana Galizia was killed by a car bomb.